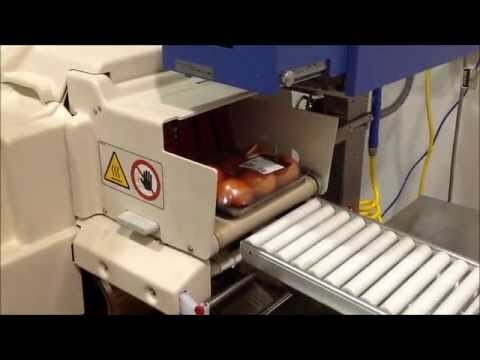 The automatic stretch wrapping machine model Elixa 24 uses super stretch Elixa technology for wrapping meat, fish, fruit, vegetables and gastronomy. The use of one width film reel of 280mm and automatic reading of tray size, makes it particularly suitable for in-store applications. 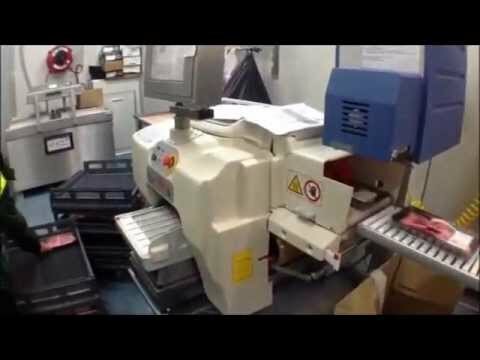 The machine has a right exit configuration, which can be integrated to Bizerba scales and price labellers. Automatic reading of tray sizes. No action required from the operator to adopt different tray sizes: Intuitive and 100% easy to use! Use of a single width film for all products to be packaged. Thanks to Elixa technology, Elixa 24 allows film saving of up to 20% compared to traditional packaging machines. Elixa 24 is powered by 230v AC without any need for compressed air; on stand-alone configuration. Elixa 24 is very compact: about 1 x 1m! It can be placed in any work environment, optimising the available space. Integration with Bizerba scales and price labellers. Elixa 24 can be integrated to Bizerba weighing scales and price labellers, to offer a complete packing and labelling solution (Compressed Air supply is required for this option). High production levels in relation to its compact size. Up to 24 packages per minute: performance that is a characteristic of top of the range packaging machines. Meat, fish, fruit, vegetable, delicatessen and cheese. Reel replacement in less than 30 seconds. Easy, fast and error-proof reel replacement. Consistent and optimal tray wrapping. The product is packaged with particular attention to sealing of tray's underside, thanks to the optimised length of the sealing belt. Each part of Elixa 24 was designed to comply with the most stringent regulations on operator safety. In addition, the rounded design of the safety guard eliminates accidental impact during movement within the vicinity of the packaging machine.